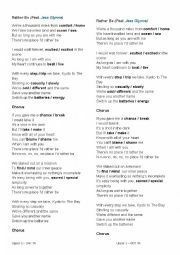 As my students are always asking me to teach them slangs, I´ve decided to work on this song exploiting the vocabulary in the lyrics. It is an excellent opportunity to discuss the appropriate situations to use such expressions. 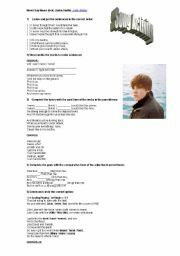 Song activity with 5 exercises. Students are supposed to listen to the song the do the activities proposed. 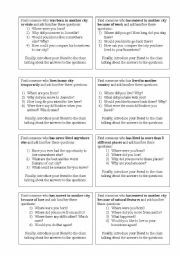 Hand out one slip of paper per student and ask them to research in the class if they can find the person who the exercises requires. This exercise is focused on the topic "moving around", and can the used specially on classes with foreigners. Nice to to in the first day of class. 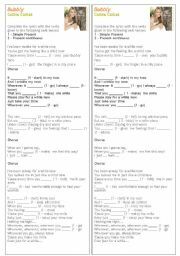 Ask the students to complete the lyrics with the verb and tense given. Then they listen to the song in order to check the exercise and sing along. 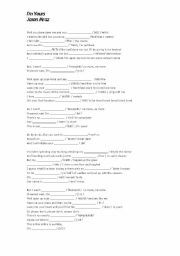 A cool listening exercise for students who are being introduced to the present continuous tense. 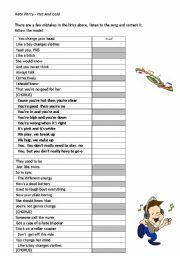 Hand in the lyric to your students and ask them to complete the song. They have the phonetic transcription to help them. After that, listen to the music and check. I always use these flashcards to introduce the spelling skill to my students. 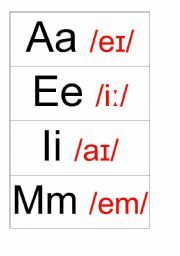 Spread the letters of the alphabet around the room and ask them to organise the cards in the alphabetic order before working with pronunciation. It always made my students feel confident to the next step, which is the pronunciation itself. Listening Activity - As Sts listen, they choose the words they hear. You can have a discussion after the activity - Do you agree that it doen´t matter where we are as long as we are in good company? Play the first 4 minutes of the movie "The wild" and let the students to the activity proposed. After that, you can discuss the rules of the final -ed pronunciation. If it´s necessary, play the segment twice so that the students can check their answers. 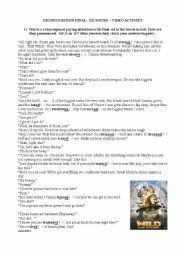 After that, they can role play the scene, paying attention to the correct pronunciation. There are some mistakes in the lyrics and the students should listen to correct them. In my classroom they had a lot of fun. 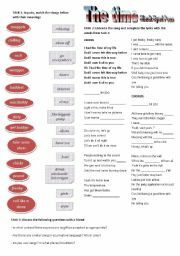 Some rules and exceptions for the use of the definite article.